After recent premiers of Disney’s Christopher Robin and Beauty and the Beast, it’s to be expected that Walt Disney Studios has a few more exciting revamps in the works. Here I have a definitive list of upcoming live-action remakes of your favorite Disney Classics. A 1941 classic, re-imagined, about an elephant teased for his large ears. A real tear jerker. If you have a soft heart, be prepared to bust out a few tissues during this one. 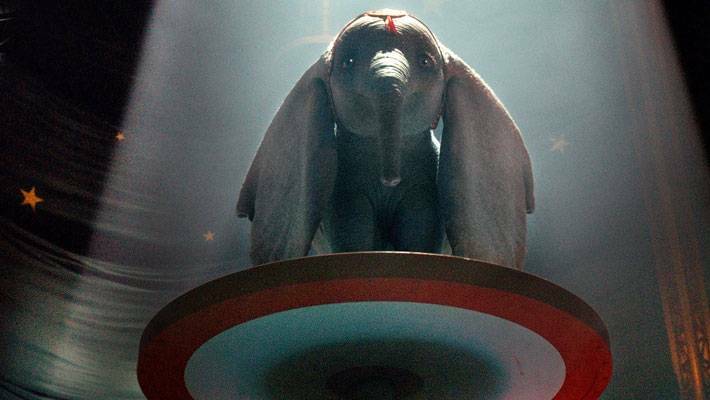 Although Dumbo leads with a sad, tragic beginning, it does have plenty of humorous scenes and end with an uplifting message too. I know I’ll cry while watching it, but I am more than excited for this one. A remake of the 1992 tale of a street rat who meets a genie and uses his wishes to try to win the heart of a princess. There’s no doubt that the original Alladin had it all. Comedy, drama, action, romance, all packed into one, 90 minute movie. I can only imagine the kind of excitement a live-action version will bring us. Just the teaser trailer for the new movie looks thrilling. 1994 blockbuster revamped. A young lion cub eagerly awaits his spot as king of the pride, but later finds himself in a harmful situation regarding his evil, uncle Scar. At some point, we have all heard the phrase “Hakuna Matata, it means no worries.” And I have absolutely NO worries that this movie won’t be amazing. Seriously though, who doesn’t love the The Lion King? This trailer does not disappoint. A new twist on the 1955 film about a stray mongrel and a upper class Cocker Spaniel’s love story. There is no official release date or trailer for the movie yet. The Lady and the Tramp was one of my all time favorite movies when I was little. I mean, come on… It’s about DOGS! I can’t wait to see what Disney has in store for the 2019 version of this one. Walt Disney Studios is bringing many exciting live action films to theaters this year, but there are even more to come. Disney has released a list of the films they intend to release in the next five years. Movies such as Toy Story 4, Snow White, Pinocchio, The Sword in the Stone, and Peter Pan are just a few we can expect to see in the near future. Im glad to hear so many remakes are coming out and hope they all live up to the expectations.